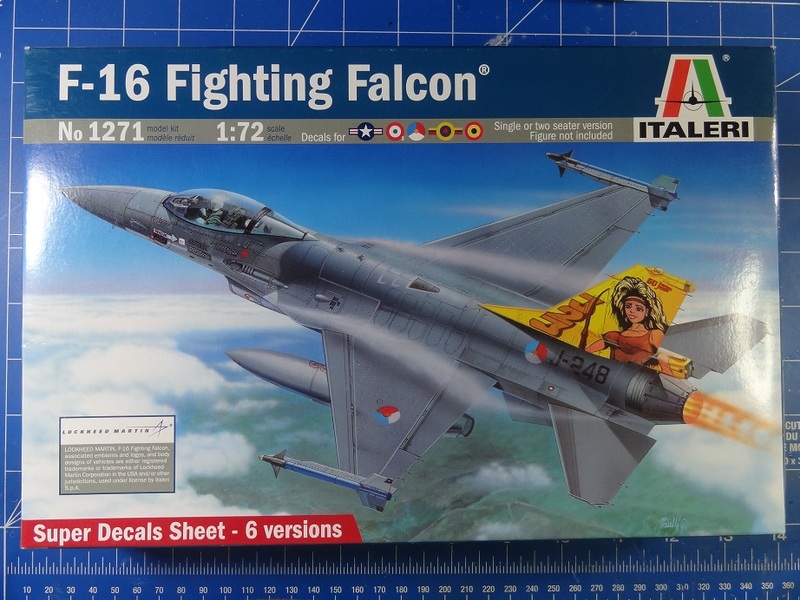 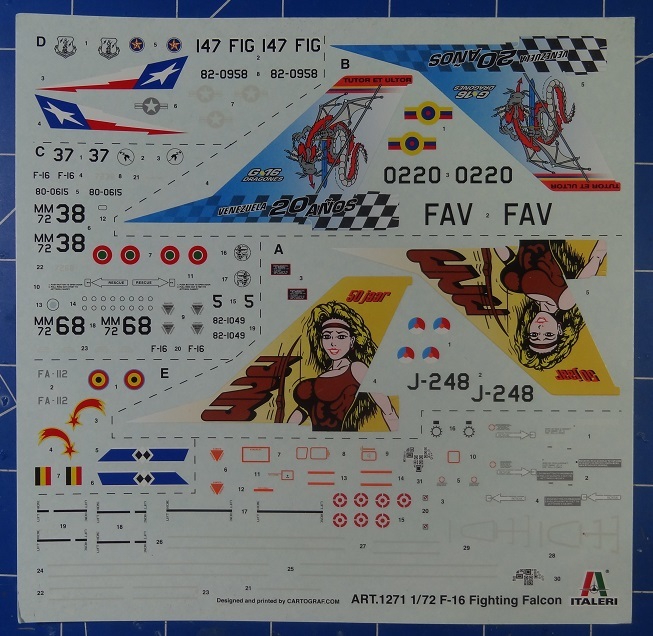 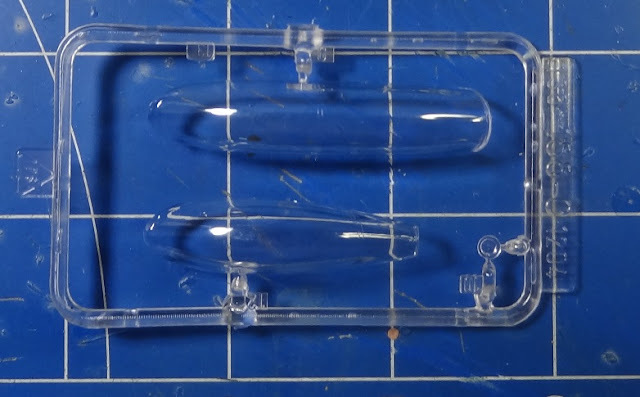 This is Italeri's 1/72 scale F16A Fighting Falcon with a "super decals sheet". 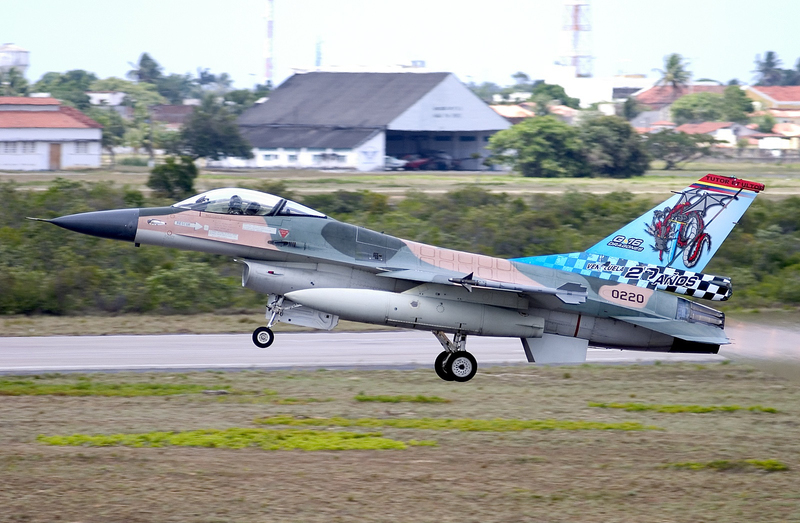 You got several possible variants of the F16, but certainly the nicest are the ones with the tail art from Netherlands and Venezuela Air Forces. 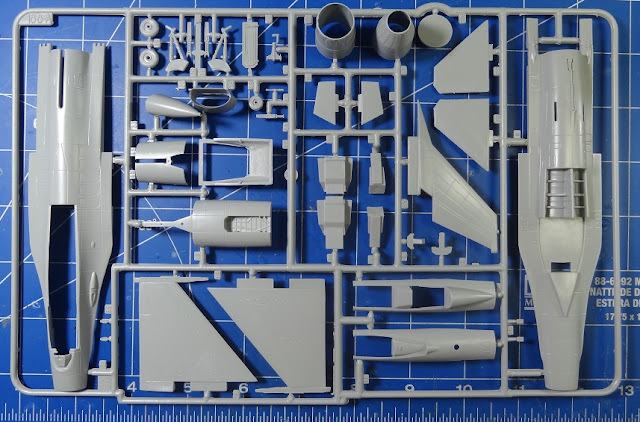 The kit has also two options included: the single or the two seats versions. 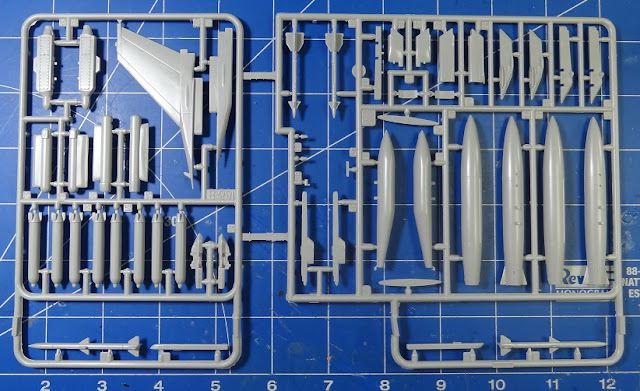 The panel lines are recessed and detail is ok. 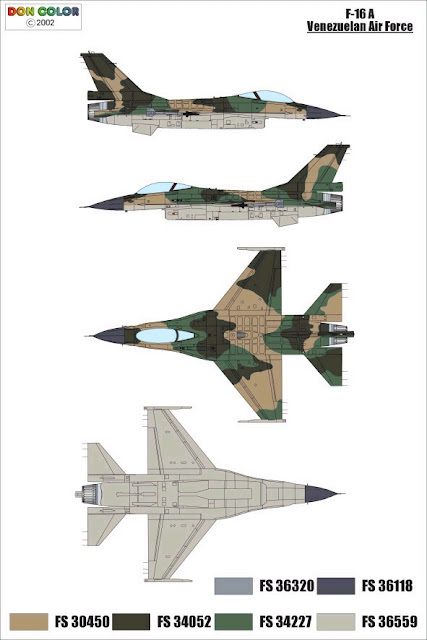 There is no option to leave the canopy open, but the cockpit has almost no extra details except for the ejection seat. My sample is already on my workbench. I intend to build the Venezuelan version. I found some references on the internet that i posted with this review.